How can a family tone down on Christmas gifts without upsetting the kids? It’s OK to ease up on the gifts. The most honest, efficient way to tone down the Christmas gift extravaganza is to debunk Santa Claus. Yep, destroy the myth of a super friendly fat guy who provides unlimited free gifts for all kids who are reasonably well-behaved during the month of December. Tell the kids it’s been a fun game, but they’re old enough to know that it was their parents pretending to be Santa. Now that they know the truth (you might say) it’s time for the family to focus on more meaningful aspects of the holiday. 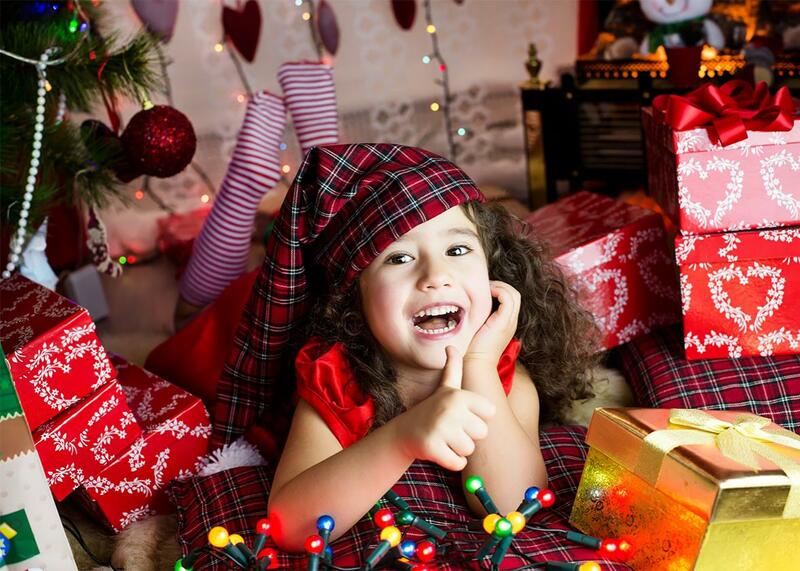 Kids may be disappointed to hear that the sleigh full of presents was mythical, but even a 4-year-old will understand that, unlike Santa, parents cannot provide unlimited gifts. To remedy their understandable disappointment, parents can do what’s best for their familial situation. Keep favorite traditions like installing lights, putting up a tree, decorating, and playing Christmas music. Start new traditions: volunteer at a food pantry or hospital; join a caroling group; film a family video; or as this answer suggests, take a meaningful trip. Make gifts for family and friends: candles, Chex mix (yes! ), cookies and candy, sachets, terrariums, wooden toys, wreaths, Christmas ornaments, and so on. If you’re worried kids will be gift-deprived, give each child one “big” gift—from Mom and Dad. Speaking as a Claus-free mom, our Christmas sans Santa is an enjoyable, stress-free family affair. Gifts: What should I buy my wife as a gift for the birth of our first child? Christmas: What are the most creative ways to wrap a present? Santa Claus: Is telling kids that Santa is real morally and ethically OK?